On Friday, during the combined 35th, 36th and 37th combined convocation awards of degrees, diplomas and certificates at Usmanu Danfodiyo University, Sokoto (UDUS), the vice chancellor Professor Abdullahi Abdu Zuru celebrated Stella Chinelo Emelife, a first-class Chemistry graduate of the university. 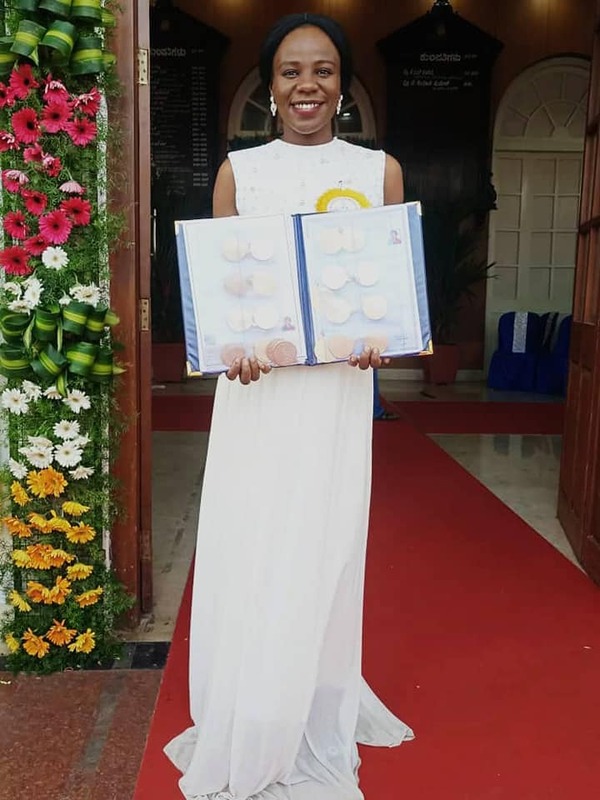 Chinelo, last month, broke a 100-year old record at Mysore University, India, bagging the maximum gold medals from the university. She was decorated with 20 gold medals and five cash prize awards at the 99th convocation ceremony of the university. She emerged the best graduating student from a Master’s degree from the university with a Final Grade Point (FGP) of 9.623%.